Leave a comment if you want one of the boxes. (also the PLAID STRIPES and DOTS challenge will also be drawn Wednesday! (Oh, boy - first commenter, may not bode well) Been following you for a while, Victoria - tried not to be TOO jealous about your weekend get-together - (just kidding - looks like a blast and is an inspiration!) would love some of your scraps. I would love to have some of your scraps also. Your quilt blocks are beautiful. too bad I don't qualify. I had lots of fun with the last box. Those scraps look yummy! I'll take a chance. Have a wonderful trip to Peru. Can't wait to see what inspires you there! like I wasn't salivating all over my keyboard this weekend, looking at those beauties .... oh yes, please please pick me, you will be my Muse for Life !!! Throw my name in the hat, too! maybe I'll get some of those colors my stash is sadly lacking. You have such bright & fun scraps... it was fun to see all the things you ladies made this weekend. Have a safe trip! I would LOVE a box...fingers crossed! You can never have to many scraps. Thanks for being so generous. Oh, count me in, please. You are partially responsible for my growing scrap addiction and I am needing a fix. Thanks for the chance! And be safe in Peru. Why is it that other peoples scraps look better than our own? Please add my name. Having some of your scraps would be very inspiring I'm sure! 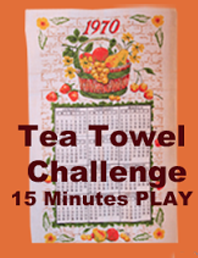 What a fun way for you to clear your desk and help others in their quest for quilting joy! Peru is a wonderful place to visit - Large cities or little towns. Old or new. Anyway, please put my name in the drawing! I was just lookin at my very sad scrap box and I think they would love to have your scapes as friends. Have a great trip to Peru. Oh, I love scraps, and I love the bright clear colors you use! Have a great time in Peru. Oh my gosh....be still my heart! What a wonderful box full of treasure! thanks for a chance to expand! someone else's scraps are just pure fun! your brights are fantastic! A box of your scraps would be heaven. I'm using up as many of my muted tone on tones as I can, so I can gradually begin to buy brighter, multi colored prints. I'm ready to grow! Thanks very much. I think it is hilarious that we all want what most people throw away but I do want it!!!! After all the fun you all had with those scraps I'd love to have some. What a treasure!! Have a great trip to Peru. 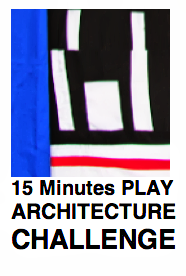 Just found your blog last night, love the idea of 15 minutes to play with fabic and create something new. What a fantastic giveaway - thanks for sharing! Pick meee! I promise I will give those scraps a good home and love them like my own. Someone else's scrap are always more interesting than your own. Have a safe trip to Peru. Thanks for the chance to win these treasures. I've seen tons of scrap quilts lately that look like a lot of fun, but haven't been quilting long enough to have enough scraps. Thanks for the giveaway! What a generous offer! :o) Thanks so much for the giveaway! 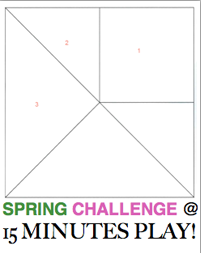 I am loving scraps more and more as I follow your blog posts. Thanks for the giveaway. I love scrap quilts so here's hoping you pick me. Scrap quilts are my favorites, too. Thanks for the chance to receive some of your lovely scraps. I will reimburse you for shipping if I am chosen by the random number thingy. Please put my name in your drawing. I'd love to have some of your scraps. I would love to play with your scraps!! I would love to win one of your boxes of scraps. They look much lighter and brighter than mine. I just discovered your blog. I LOVE it!! 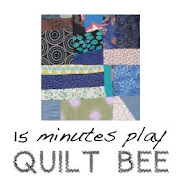 I'm going to recomend it to all my quilting buddies both on and off line. I'd love to have a box of your scraps. I need some new to me fabrics to liven up my old tired stash. Money's been tight for a few years now so I don't buy fabric the way I used to. Of course I have plenty...LOL but something new is nice too. I would love some of your scraps. What a good idea this is. I may have to get a couple of these boxes soon for my growing mountain of scraps. I would love to win your scraps!! Oh heck yeah, I love scraps and I love the outcome of piecing them together. I hope I win. Oh boy! I was just thinking I need to whittle down my stash of scraps. So if I win some of yours, I can pay mine forward. I would love to infuse some of your bright scraps into my space. Thanks and have a great trip. I can't imagine winning your scraps, it would be insanely wonderful to see what would become of them here. Pick me! Love the looks of those scraps. I wiuld love to win a box. Thanks for the chance. 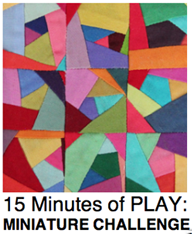 I would love to play with your fabric scraps. Add me to the list! 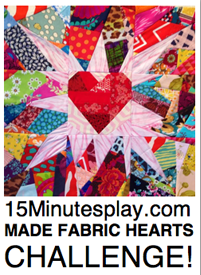 Sew looking forward to making a great, creative quilt with your scraps! It'd be great to win some of your scraps. You always do such fun pieces. Wow...soo many scraps! I'd love to add to my little basket O' scraps! Thanks for a fun blog!! Please count me in. I love to use my scraps for quilts. I just got a Go and don't know how to use it yet. I think a box of "new" scraps is just what I need. Thanks for the give away. Just started following your blog. Not quite sure what was happening in that beautiful room of tables ready to sew. Was it a retreat of a special professional seminar? So many of your scraps are so very different than what the shops near me carry. I'd love to play in one of those boxes! It must be so much fun being surrounded by a room of creativity, like at your retreat. I would love to get your scraps! I love making things out of them - thanks! I am trying to work outside my "box" and this may be the ticket to help me do just that! What a great giveaway! After years of thinking I can't do it, I'm slowly learning how to play with scraps! Your scraps are so bright, Victoria! Love it! Thanks for counting me in. I'd love to be on the receiving end of this giveaway...thanks for the chance. I need these like a hole in the head, but who can resist scraps?! I would love some of your scraps! I have been so inspired by this blog in the past 2 months I have been following and I can't wait to see more!! Being a newbie at quilting, playing around with fresh scraps from someone you admire would be wonderful! Thanks for the opportunity! 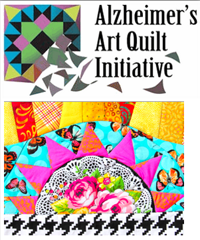 My Monday Miagia group (Make It And Give It Away) could use a good infusion of color as we sew quilts for our community!! Thanks for sharing. Throwing my hat into the ring! I am chairing a Charity sewing day for my local guild in June, those scraps would be perfect for the string-piecing I have planned for the group! What fun! I would love to have a go at it! i can not express the amount of fun we would have with your scraps V! first colette would put them in colors...hugo would then line them up...(i hear that is a sign he is ready for potty training!!) and after they went to bed, i would put them in sweet piles in my sewing room! thanks for a chance. congrats on your stash work! I would absolutely love to be in the running for a box of scraps ... oh, my ~ the possibilities! You and your efforts inspire! THANKS! Throw my name in for the giveaway of scraps! Oh I would love your scraps. I live in the Great White North so would you consider shipping to my sister in Los Angeles or letting me pay for postage? Have a great trip to South America. Looking forward to seeing what inspires you from Peru! Well Victoria, since I want to be you when I grow up, a good way to start would be a box of your scraps! You know you did comment to me the other day about how much you had, so really, I think you should prove it by sending me some so I can see in real life that you were telling the truth ;P OK if that doesn't work, how about bribery?! lol! Whoever ends up with them I know will love them! I would love to help you rid yourself of some of those wonderful scraps!My scrap stash could use some pop!Your blog is awesome.What an inspiring woman you are! !I could even reimburse for postage. It would be fun to have some of your scraps! I really try to use mine, but you get tired of seeing the same one all the time. New fabrics give new life to the old ones, too :) Thanks for your blog and this site! I'd love to help you out by giving some of your scraps a new home! I'll play nicely with them. I'd love to help you get rid of some scraps, and build on my own! Thanks for your blog!! me me me!!! 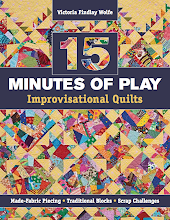 Since i've not been sewing long I haven't worked up many scraps yet so this would open me up to be able to REALLY get to do some of your 15min of play!!! 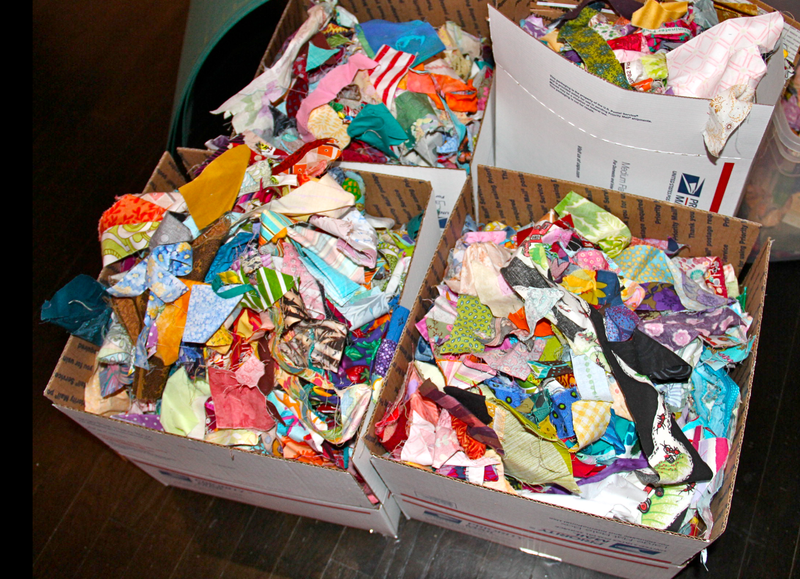 The boxes of scraps are fabulous. I'd love one to help jump start by play with modern blocks. Thank you for sharing all the wonderful pictures taken at your home quilt retreat. You are indeed blessed to have such talented friends. You've inspired me so much - after "playing" improv quilting it's hard to go back to an organized "canned" quilt project. Would love to win a box of your fabric scraps. Have a great trip to Peru and look forward to you sharing pictures from your trip. We all know you have WONDERFUL scraps! Who wouldn't want them?? :) Loved your latest post on the Provence quilts - just lovely. 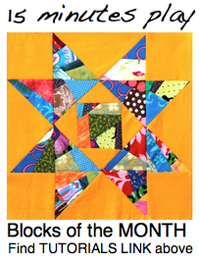 Can't wait to see what you quilt on that black border!